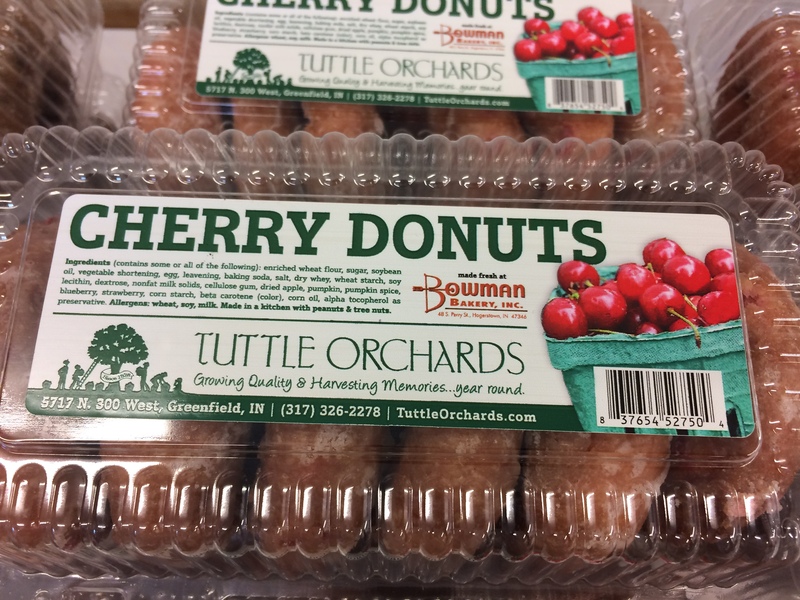 June 30: Cherry Saturday @ Tuttles - Tuttle Orchards Inc: Indianapolis Apple Orchard, Pumpkin Patch and Farm Store. 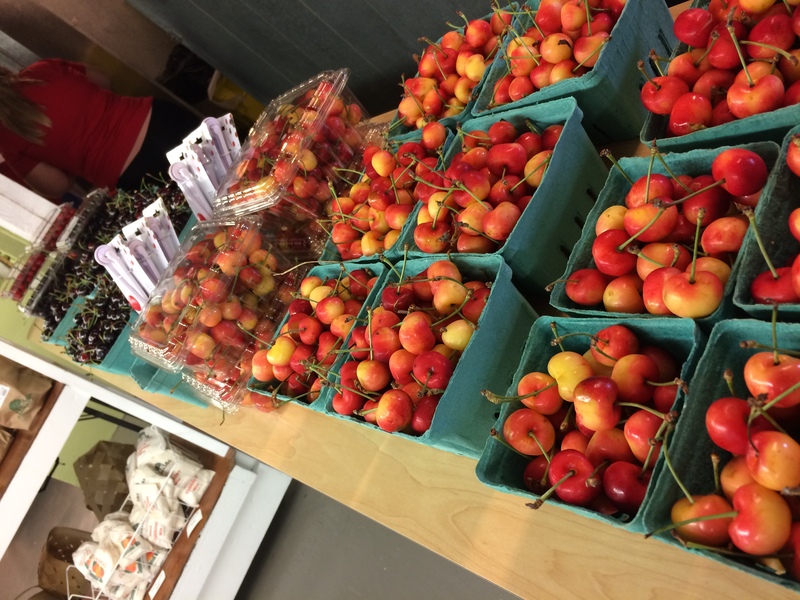 Farm Store and Cafe open at 9AM but activities, sampling, meals, hayrides do not begin until 10AM. 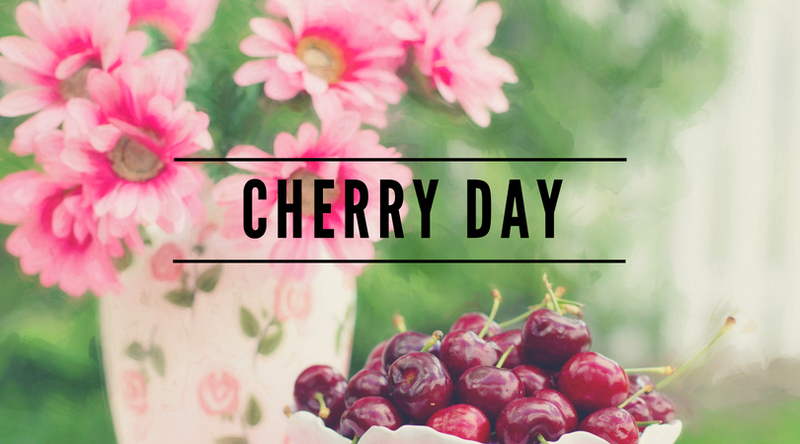 It’s a day to celebrate sweet cherries! 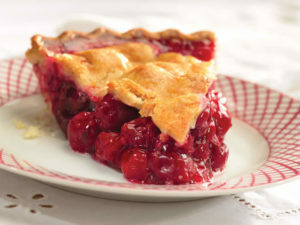 What’s a better way to celebrate 4th of July weekend than with a cherry pie. 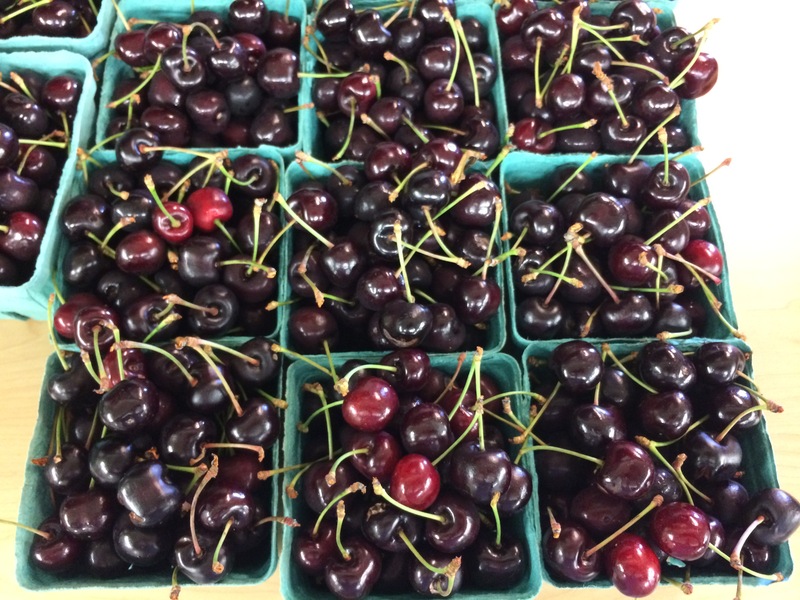 We will be getting fresh SWEET cherries to have available this Saturday (available 9am until sold out…should have cherries most of the day….we order a LOT). 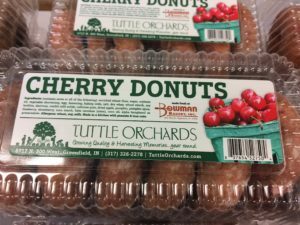 They will be available in pints, quarts, and 2lb containers. 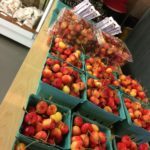 This year fresh cherries will are from an orchard in western New York. 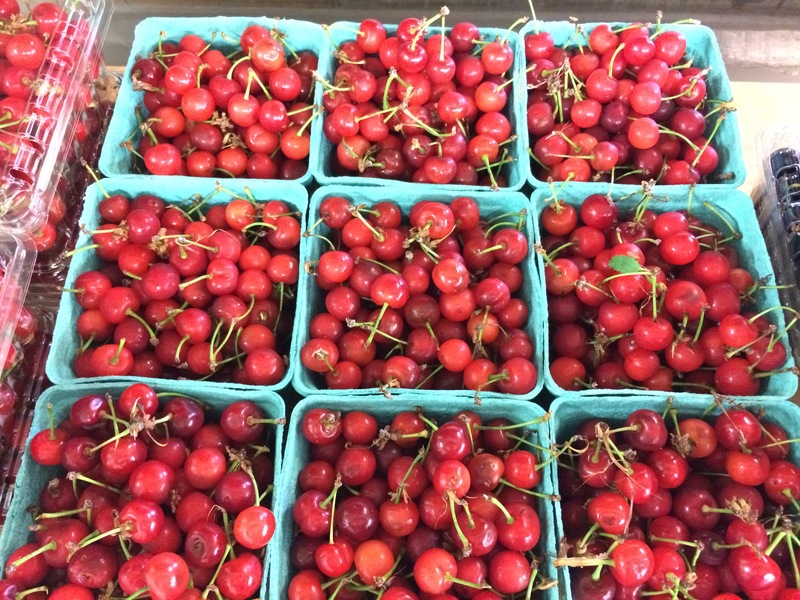 Due to an extreme amount of rain in southern Michigan this past weekend which affected the cherries that would have been ripe this weekend, we are partnering with an orchard in western New York to bring you the best cherries we could find for Cherry Day this year. 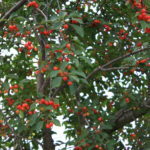 They are fresh picked off the tree and look really nice. 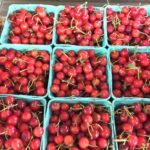 The variety will be Teitin. 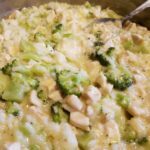 Prices are $2.95/pint $5.95/quart $10/2lb box. 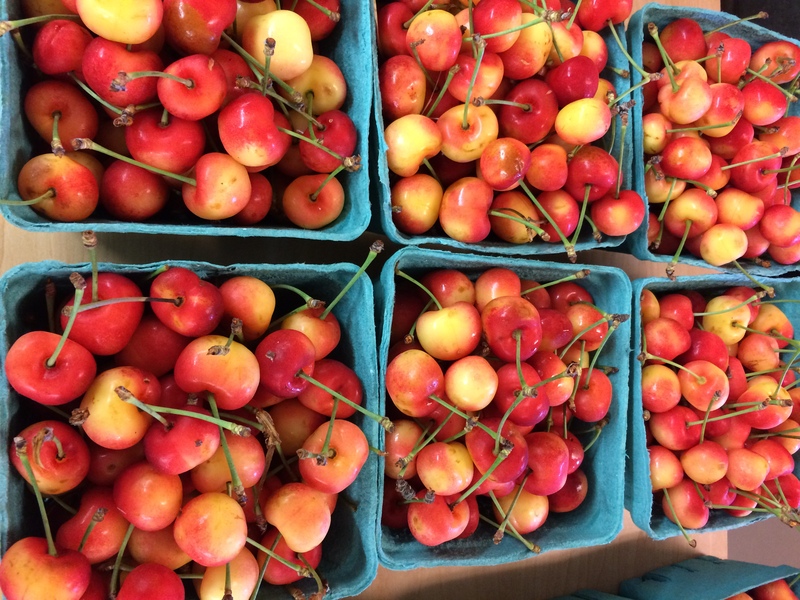 We also get some Rainier Cherries from Washington State. Price for Rainier is $3.95 pint, $7.95 quart, $12/2lb tub. 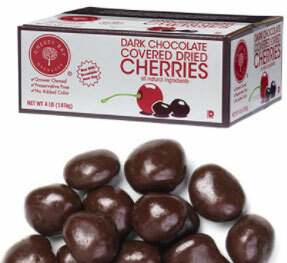 Cherry Update as of Noon: We are out of red sweet cherries. We have been busy. 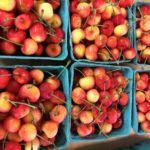 We do have plenty of rainier cherries left. 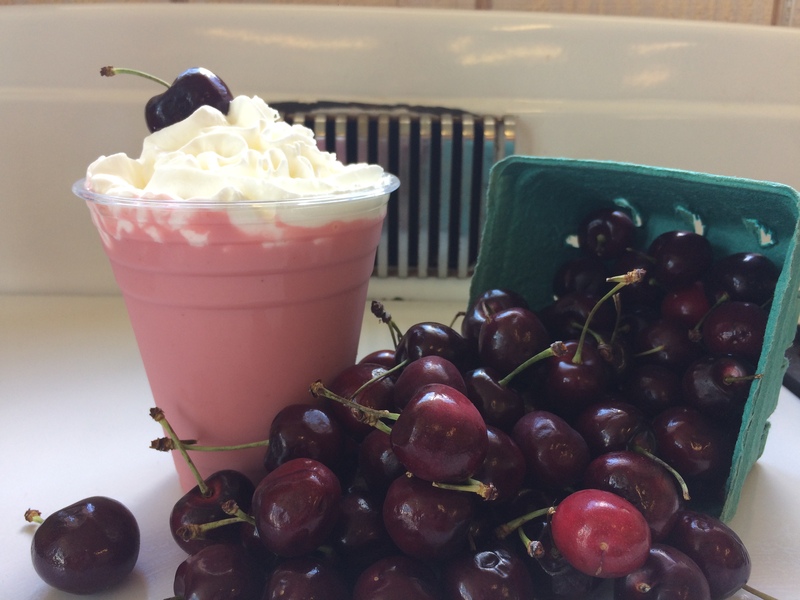 Please note: we do NOT have pick your own cherries at Tuttles! 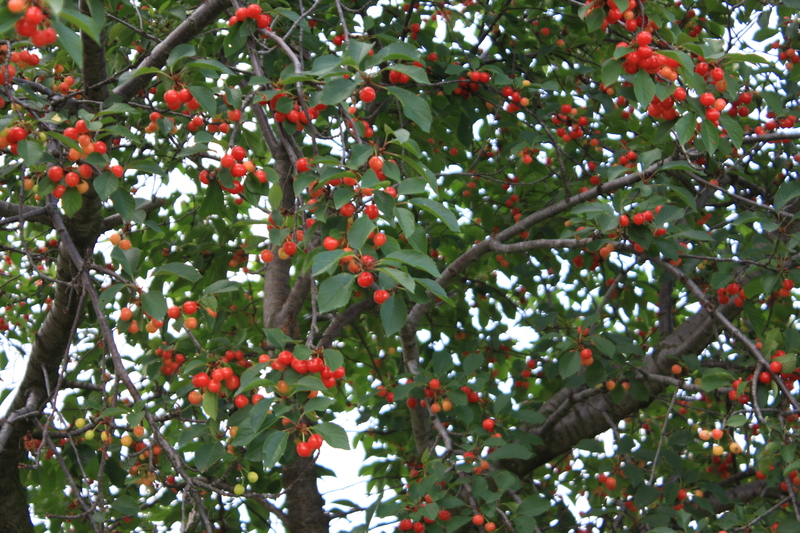 These will be sweet cherries. 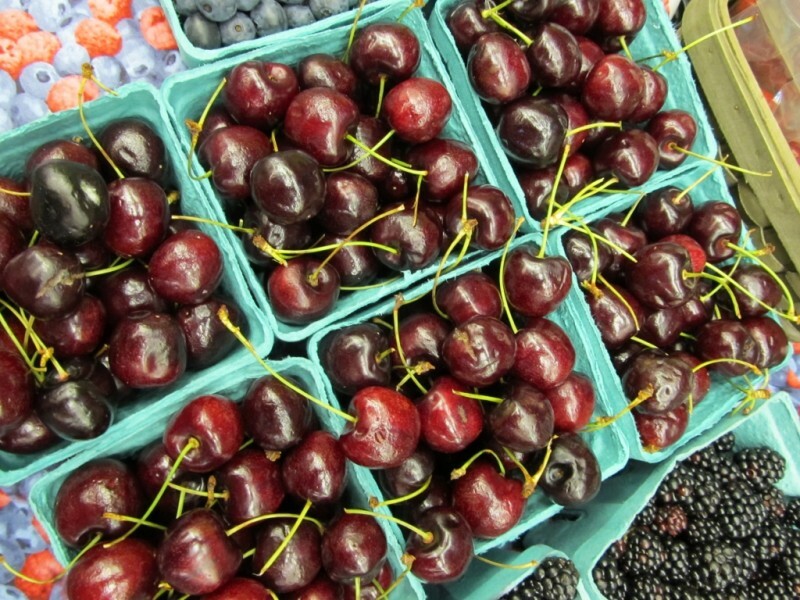 In the world of cherries, SWEET = eating TART = baking. 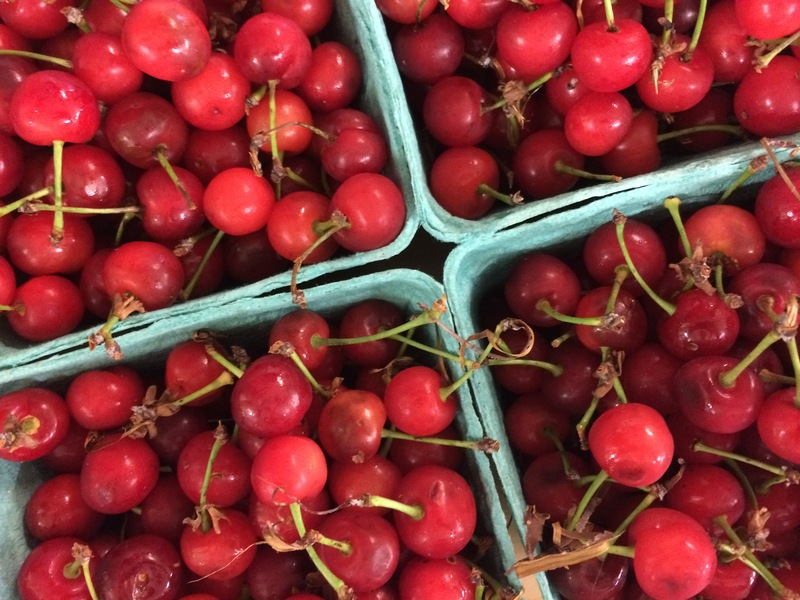 If you are interested in fresh TART cherries, we will not have any fresh tart cherries available by the quart, but we are bringing in 10lb containers of tart cherries the third or fourth week of July (cherry day is a bit too early for tart cherries). 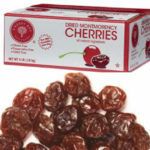 Click here to order TART CHERRIES. 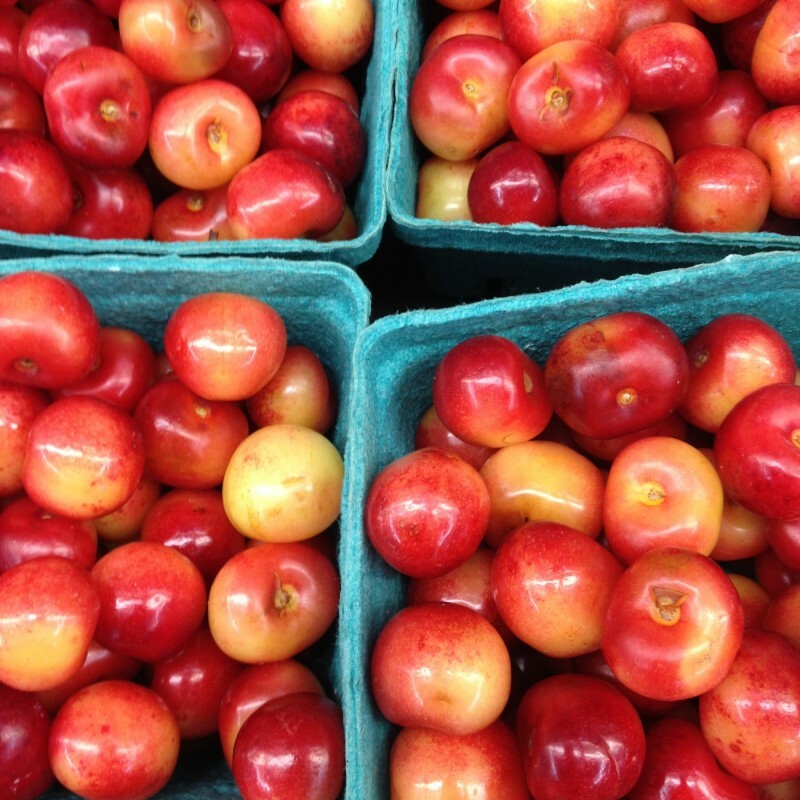 These will be already pitted (yeah!) 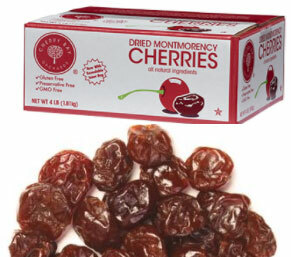 and will be just cherries with nothing added so you can bake with them easily. 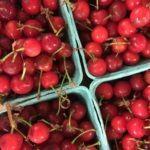 We will not have any tart cherries available on cherry day by the quart. 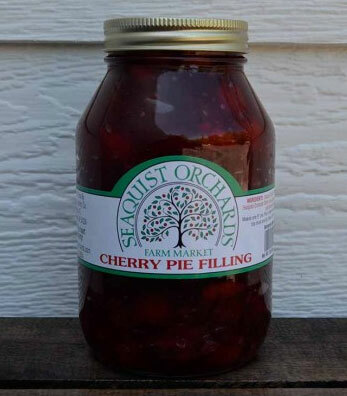 We are also partnering with Seaquist Orchards in Door County Wisconsin to provide us with lots of great cherry products including cherry pie filling, cherry jam, and cherry salsa! 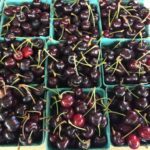 They are an amazing family farm we visited last year, and we are excited to bring some of their cherry goodness to Indiana. These items are available this year…no need to pre-order. If you have not had a chance to pre-order, no worries…we have extra available that day. We will also be sampling our all natural, clean label Cherry Pie. These pies are available frozen to take and bake for your 4th of July celebrations. 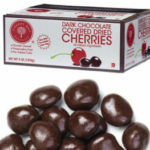 They will be on sale for $12 this day (regular $13.95). 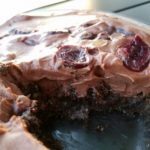 These pies are made with only a few all natural, non gmo ingredients. Made the way your grandma would make cherry pie. Tractor Town Kid’s Farm Area – 10AM-5PM – 1 activity ticket per child. Adult no charge. Kids 1 and under free. Activity tickets are $2.50 each and can be purchased from the sample cash register or the greenhouse register. All kids activities will be located in the area next to the greenhouse. Please note: tractor town and outdoor activities are subject to weather but the rest of the festival will happen rain or shine.